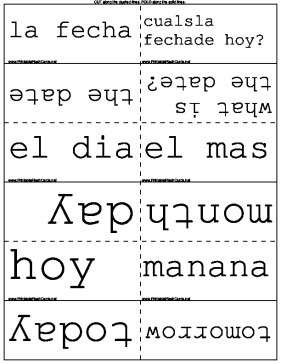 This set of flashcards covers days, months, and other date-related words in Spanish. cualsla fechade hoy? what is the date? que dia es hoy? what is the date today?